2018 Reissue - Limited to 5000 Copies on Green Vinyl. 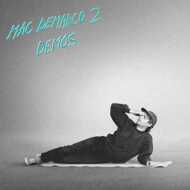 Mac DeMarco's debut full length, 2, released in 2012, cleaned up the songwriter's warped take on soft rock and brought it to a broader audience. Given DeMarco's affinity for keeping things lo-fi _ 2 was the first time he'd bothered to record demos _ it's revealing to hear these songs in their most embryonic form. The performances here are a little looser and the sound a little hazier than on the actual LP, lending an atmosphere of dreamy vulnerability, especially to ballads like "Annie" and the Lennon-esque "Sherrill." Captured Tracks now brings this limited edition demos release back in print on green vinyl to celebrate the label's 10th Anniversary. Limited Edition Demos Release, Now Back in Print!